Day 102 – Printing Process and First Print! If you saw our last blog, you would know that we have had some 3D printer troubles over the last couple of days. We discovered that the issue was the SD card reader in the 3D printer that was causing the issue. Fortunately, the MakerBot has another way to print – via USB. 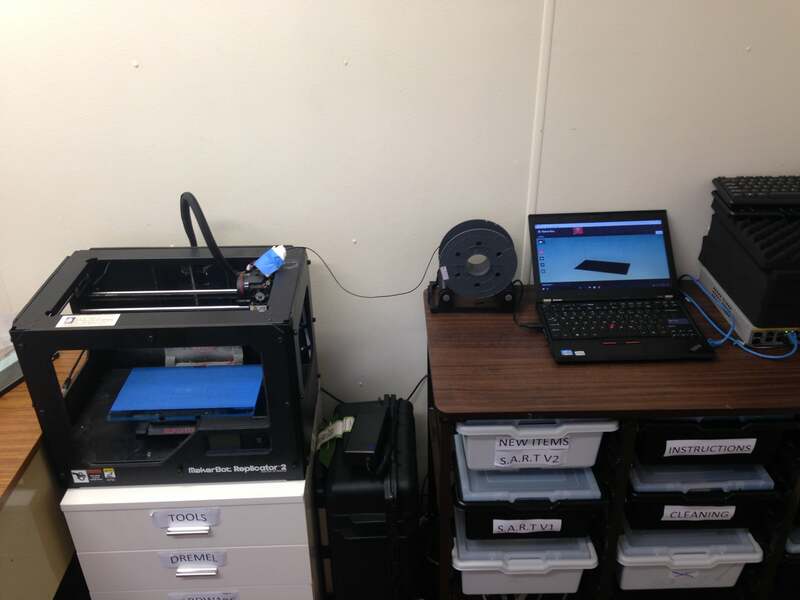 The MakerBot is connected to a laptop or desktop and you can print directly from the MakerBot software. This actually ends up being far more convenient as you don’t even have to transfer the files to an SD card. If the printing computer is connected to the network, we can take files directly from our laptops or modelling PC directly to the printing computer. This new workflow resulted in our first successful print of the S.A.R.T v2 prototype! The print quality was better than we imagined. 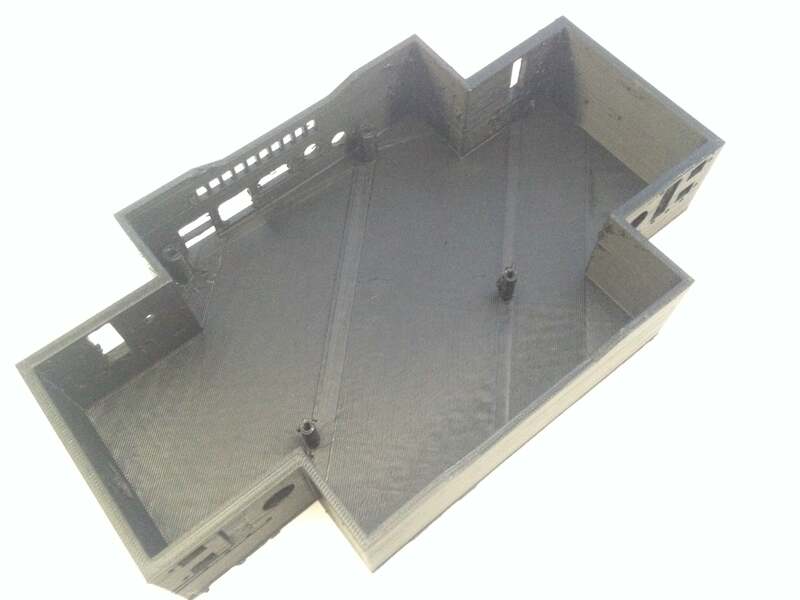 After 2 hours there was no sign of peeling or warping, so we left the printer to finish the 8 hour print overnight. When we returned in the morning, the print had completed without a hitch. The raft came off surprisingly easily, however when we do the final print we should take more time to remove it as we removed some of the actual model as well in the process. With this prototype, we can get an initial feel for the location of all the components and rectify any issues we come across.